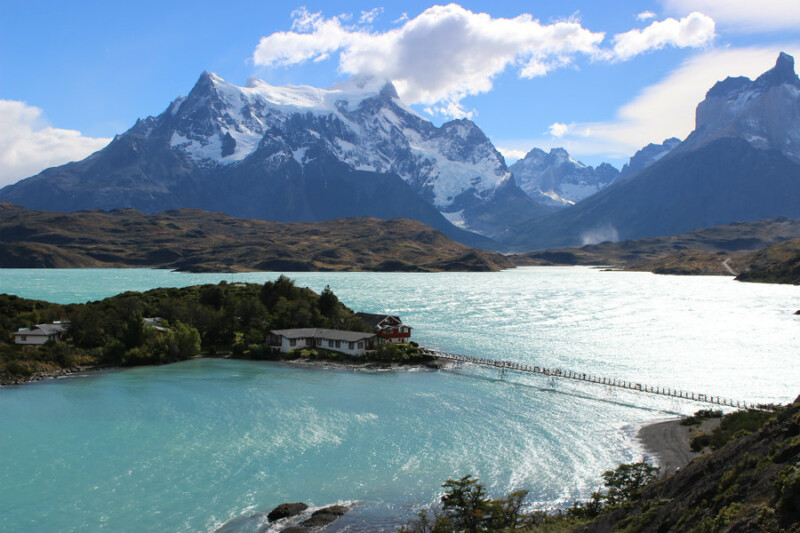 Torres del Paine has everything: glaciers, lakes, mountains, and rivers. All photos by Elizabeth Johnson. It's devastatingly beautiful if harsh open country. The other travelers you meet are kind, empathetic, and giving. What if every place in the world was like Patagonia? PATAGONIA, Chile – When I think of the end of the world, I think of blue. Snippets of pale sky, the color of cracked geodes. The fat-bottomed clouds scraping the mountaintops, casting navy shadows across everything they pass. A shifting mirage of navy and gray. The water that flows in sheets, collecting in rivulets in the streams and lagoons. Cupping handfuls of blue to my mouth, drinking until my teeth go numb. The blotchy half-moon bruises on my hipbones, shoulder blades, and kneecaps, proof of the work my body has done, carrying myself and my backpack across 90 kilometers of rock and up sheer mountain inclines. Always moving. 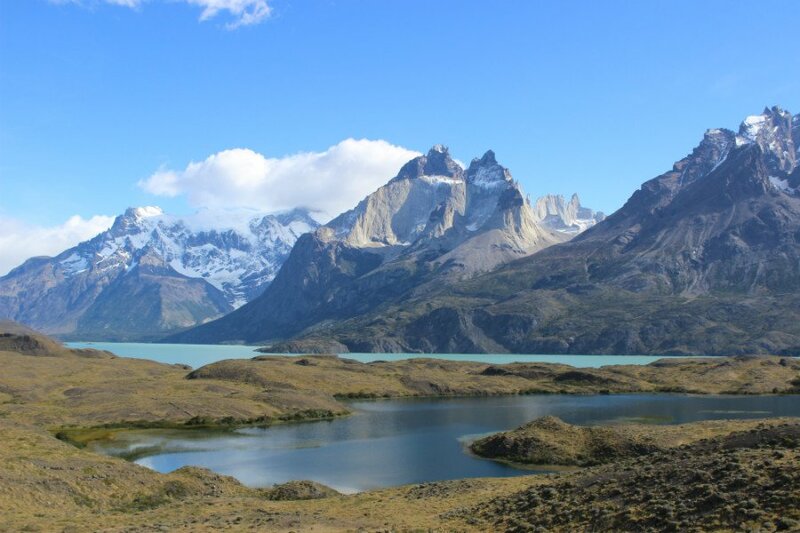 Even the name of the Chilean national park — Torres del Paine — refers to the color, a Tehuelche Indian word meaning blue. Seated on top of a catamaran with my face turned toward the mist and the 90-kilometer-per-hour wind, blue became a tangible thing. Blue was happiness. Not a kicky, bright kind, but a full, almost aching kind, both dark and light. I am drawn to nature, to the devastatingly beautiful and harshly vindictive open country. It's where everything becomes clear. I love the rhythm of trekking, how my body, and then my head, fall into rhythm. It is in this vacuum that I untangle problems, answer questions, and confront the unavoidable. Wind speeds can reach up to 110 miles per hour, and visitors can see rain, sleet, snow and sunshine all in one day. Torres del Paine is the largest and most visited park in Chile, averaging 252,000 visitors annually. 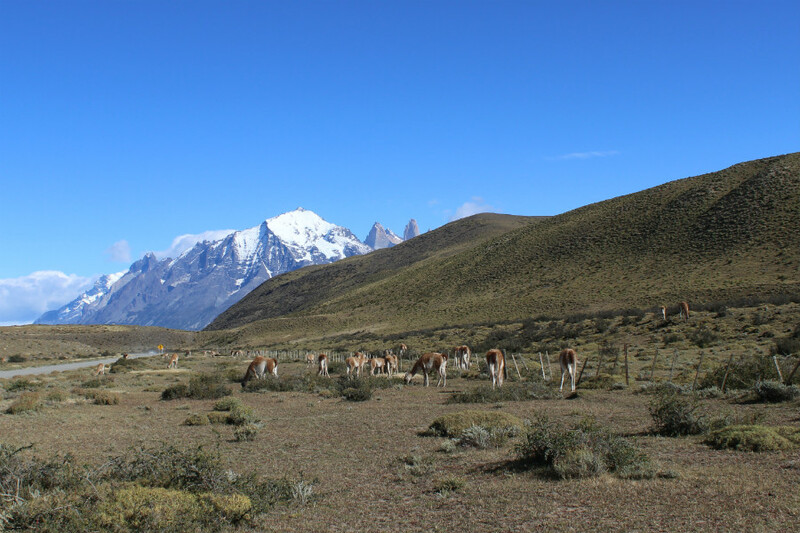 Herds of guanaco graze on a plain. More than 26 species of mammals live in the park, including pumas and South Andean deer. Patagonia is a place that belongs only to itself. It is the end of the world, the unconquered land. "The wind is a traitor," the shuttle driver repeated over and over on our first day. "Remember, this is a mountain." This land was not my friend. Nature gives and it takes away, but for me, it mostly gave. I started the journey alone and ended with eleven new friends from Chicago, Israel, Guatemala, the United Kingdom, and Germany. We backpacked through a five-day trek called the W, the most popular circuit in the park, stopping to camp at refugios and do longer day hikes to see glaciers and impossibly blue lagoons. The trail attracts some 252,000 visitors annually, of which 60 percent are foreign travelers. Of those visitors, nearly all are unflinchingly honest and generous. At Campamento Italiano, I met with a man from Santa Cruz, California, who was traveling with a man from Santa Cruz, Brazil. "He was a hitchhiker, and I picked him up," the Californian with bleached, shoulder-length hair said. "Now we're here together with a French woman we met along the way." Stories like these, of unexpected friendship and kindness are, so common. A glacial-fed river crashes over one of the park's plains. The rich blue color comes from minerals in the ice. In 2011, a group of hikers caused a wildfire that burned more than 40,000 acres of parkland. 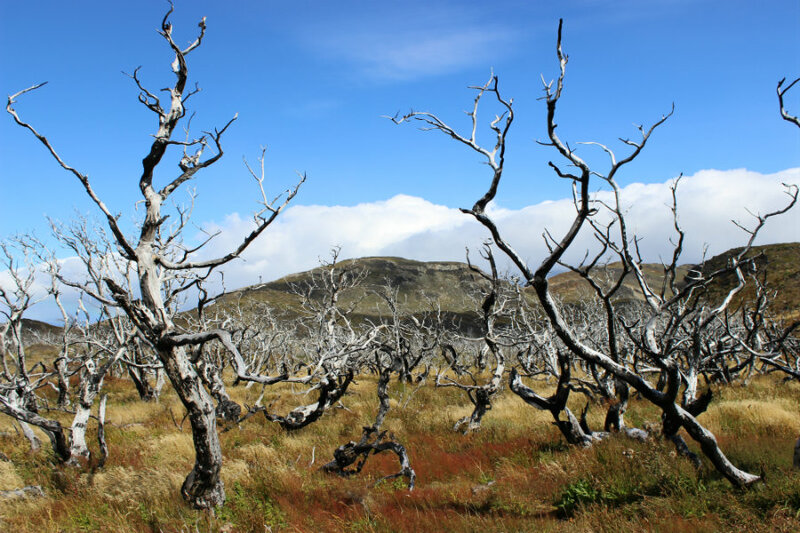 The burnt remains of trees are a haunting reminder of the impact we have on nature. We have our own stories, too. On our first night, at Refugio Grey, rats gnawed holes in our tent and crawled in. We woke up in the morning to discover they had eaten our food, toothpaste, and mouthwash. The next night, we put what was left of our food on a shelf in the community kitchen. When we returned, everything was gone: the canned tuna, the wheat crackers, the Nutella, the raisins, the oatmeal. We had stored it on the wrong shelf — the offering shelf — leaving us stranded without food in the wilderness. "Here, I have some soup packets you girls can have," one man in foggy glasses said, unzipping a pocket on his pack. "Oh, and some tea. A can of black beans." From across the room, "I have half a jar of crunchy peanut butter. Take it," a woman with dreadlocks chimed in. These gifts continued the entire trip. When we had no fire to cook rice, four Israeli boys adopted us and made us dinner. When we ran out of oil, a man from Salta lent us his bottle. When we showed up to a refugio too late to purchase a meal ticket, the workers slipped us four packages of ramen noodles, some stale bread, and a hidden dessert. I could not help but imagine what the world would be like if everyone was this kind, this empathetic and giving. What if every place in the world was like Patagonia? A cluster of homes cover one island in the park, one of the most photographed scenes there. 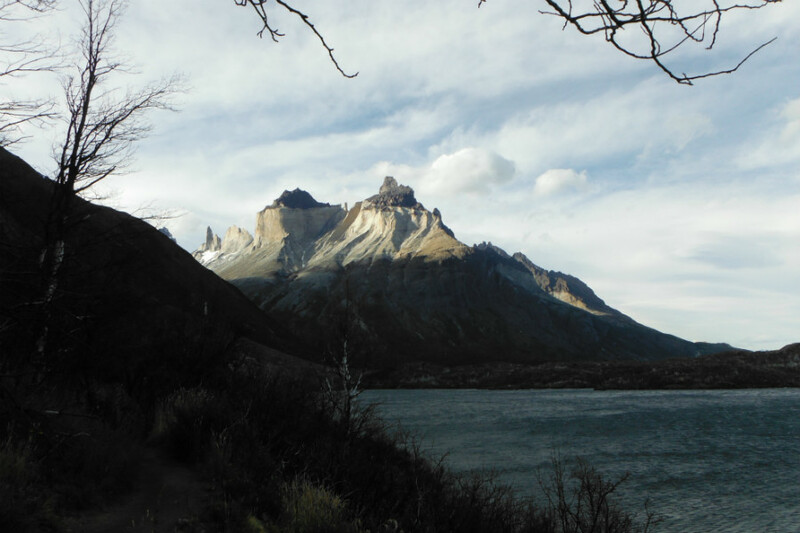 The W-circuit is the most popular trek in Torres del Paine. Camping sites are available throughout the park. 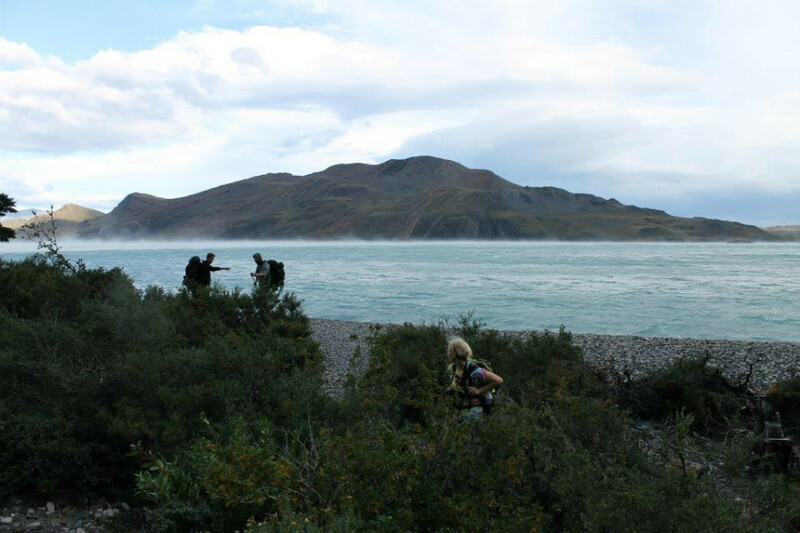 On the third day, I stripped my pack and clothes and jumped into an icy lagoon. I crawled out, sunned my skin on the rocks. There, without embarrassment or modesty, I met five new people who would accompany me on the last leg of the trek, the others having peeled off on a different route. Together, we climbed 22 kilometers to the top of Mirador las Torres at 3 a.m. to see the sun rise across the mountain ridge. The last kilometer was spent on our hands and knees, scaling boulders slick with sleet, sending showers of pebbles into each other's faces. A rock careened from the peak, slammed me in the spine, sent me scrambling for handholds. Tears and rain dripped off of my cheeks. It was miserable and empowering and irreplaceable. But when the sunbeams peeked over the horizon, every part of me went still. Tranquilo. The trek will be in my heart for the rest of my life, as a beautiful time with beautiful people in an unbelievably beautiful place. But I follow the sentiment of Uruguayan writer Eduardo Galeano: "Nostalgia is good, but hope is better." Someday, I hope to be back in the land of blue. Fly from Buenos Aires, Argentina, to El Calafate, Argentina. Aerolíneas Argentinas offers budget flights from both of BA's regional airports. I recommend flying out of Aeroparque Jorge Newbery (AEP), which is within city limits. 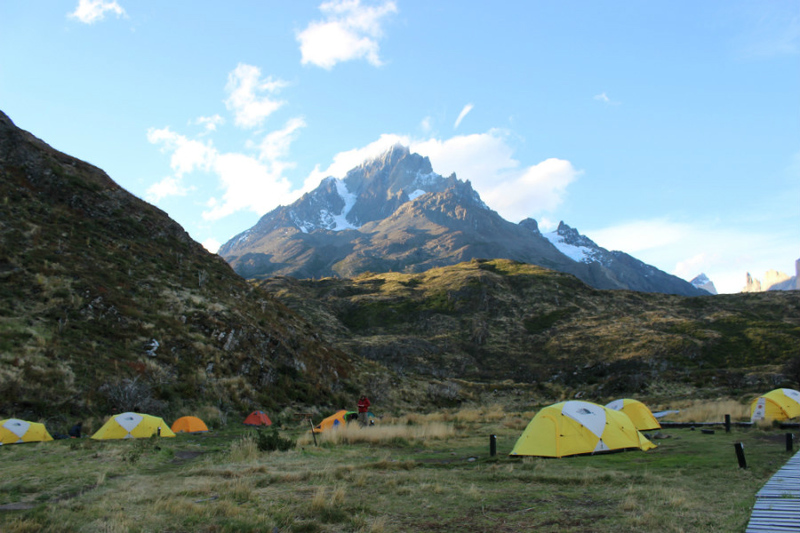 Hiking equipment (sleeping bags, backpacks, and tents) are available for rent in El Calafate. 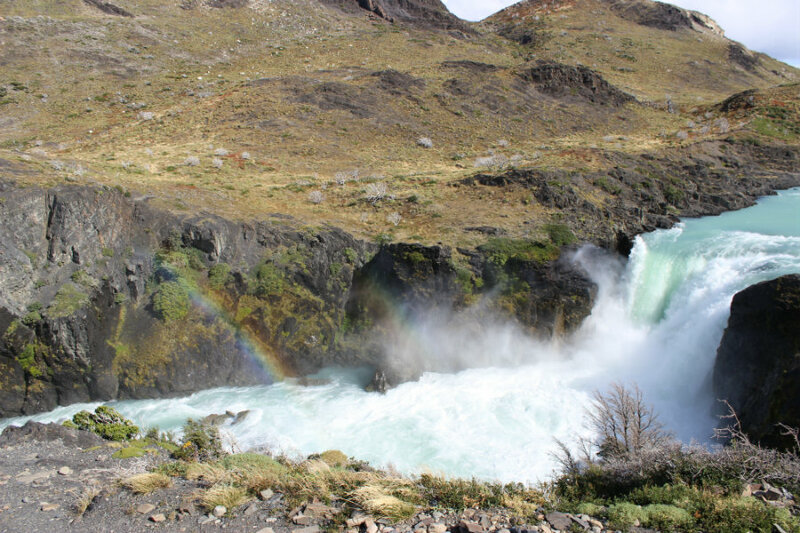 From El Calafate, take a bus to Torres del Paine National Park. Buses run regularly and tickets are easy to buy on-site. I arranged my bus ride through my hostel, America del Sur. Make sure you are carrying proof of having paid the reciprocity fee because Argentine border control will not let you back into the country without it. The most popular trek is the W circuit. The 60-kilometer trek can be walked in about four to five days. Pack lightly and bring plenty of protein-rich food. 1. Hosteria Las Torres to Campamento Torres (9 kilometers, 3.5 hours): The first 2.5 km is a steep ascent, then the trail becomes much more moderate. With heavy packs, it's probably closer to 4–4.5 hours up, but much faster descending. 2. Campamento Torres to Mirador Torres (45-60 minutes): A steep rocky ascent, but not too long, and very doable with a daypack. Elizabeth Jognson is a journalist based in San Francisco. You can follow her on Twitter. She travels for the tiny hotel shampoos and the sheer joy of experiencing new things.